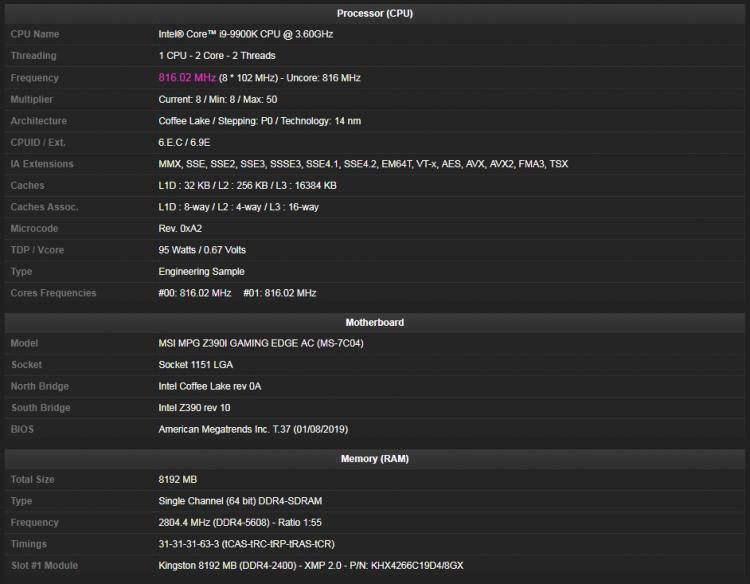 MSI’s in-house overclocker, Toppc, breaks the DDR4 memory world record pushing a Kingston HyperX Predator DDR4 RGB memory to 5608.8MHz using the MSI MPG Z390I GAMING EDGE AC motherboard. The world-record breaking achievement was done using liquid nitrogen cooling. The MSI MPG Z390I GAMING EDGE motherboard was also paired with a 9th generation Intel Core i9-9900K processor. The achievement highlights the performance of MSI’s exclusive and patented DDR4 Boost Technology. The MPG Z390I GAMING EDGE AC sports a mini-ITX form-factor and is designed with a premier layout, Dr.MOS, and DigitAll power. The motherboard supports 9th and 8th generation Intel Core processors and features MSI-exclusive technologies such as DDR4 Boost and Core Boost technologies. The motherboard also packs Twin Turbo M.2 and USB Type-C that supports high-speed data transfer and data storage. The MPG Z390I GAMING EDGE AC offers an excellent balance between performance and space. 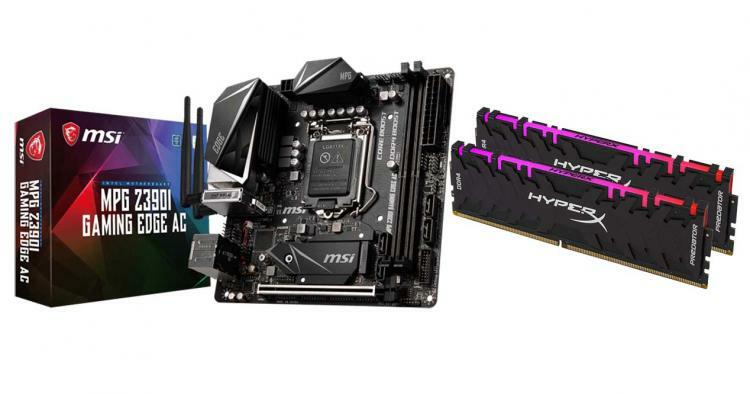 Learn more about the MPG Z390I GAMING EDGE AC motherboard here. HyperX Predator DDR4 offers performance and the brilliance of RGB lighting. The HyperX Predator DDR4 sports an aggressive black heat spreader. The Predator DDR4 Series are compatible with the latest chipsets from both Intel and AMD and is backed with a limited lifetime warranty. Learn more about the HyperX Predator DDR4 memory here.